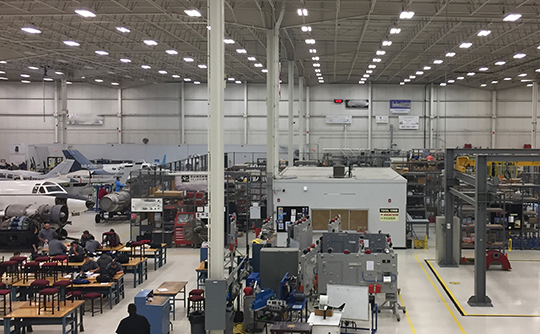 Inland Mortgage Capital (IMC) is pleased to announce the closing of a $5,400,000 non-recourse, first mortgage loan on an industrial building in suburban Detroit. The 128,000 SF property is 100% leased to a for-profit college. The building consists primarily of a high bay warehouse with office and classroom space. IMC overcame the headline risk associated with recent adverse news about for-profit colleges and worked with the Borrower on a creative structure that was beneficial to both sides while meeting a challenging closing deadline. IMC took a common sense approach to its review of the tenants credit without “redlining” the industry as other lenders may have done. Further, the ability to backfill the space if needed is highly likely due to the excellent functionality of the collateral. The property is well-located in a very strong industrial submarket boasting rising rental rates and low vacancies. CONTACT US | SITE & PRIVACY POLICIES | SITE MAP | Copyright 2019 The Inland Real Estate Group of Companies, Inc. All rights reserved. The Inland name and logo are registered trademarks being used under license. "Inland" refers to The Inland Real Estate Group of Companies, Inc. which is comprised of a group of independent legal entities some of which may be affiliates, share some common ownership or have been sponsored and managed by subsidiaries of Inland Real Estate Investment Corporation.